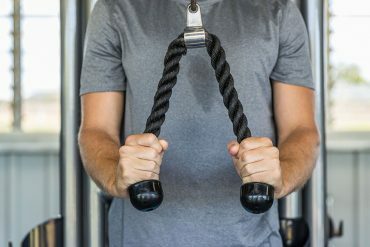 Whether you’re new to the gym scene or a seasoned vet, you’ve likely seen the TRX hanging around the gym and wondered, “What in the world is that thing?” or “I know what it is, but can I really get a great workout with it?” You’re in luck, because this blog answers both questions. 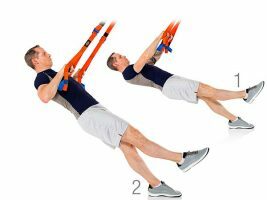 Suspension trainer exercises are even better than bodyweight exercises because they support a variety of back exercises that are difficult to do without equipment. And it adds an element of instability that challenges every muscle—especially the core. 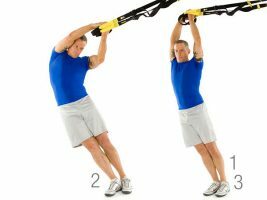 Even better: Most exercises on the TRX are easily modifiable for all levels of fitness. Now that you know what it is and why it’s awesome, go ahead and give it a try! The total body workout below will get you started. 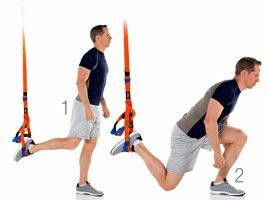 For the Overhead Raise, One Leg Wide Row, Fly, Curl, Modified French Press, and Side Bend, you can modify it and make things a little easier by moving your feet farther away from the wall or TRX anchor. To make these exercises more challenging, move your feet closer. For all exercises, remember to keep your core engaged to help maintain good form. 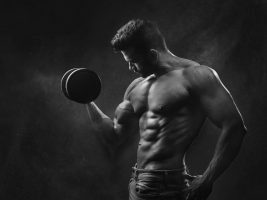 After you complete this workout, you’ll have a new piece of equipment and eight new exercises in your fitness arsenal, not to mention you can show off your skills when the next newbie drops in. Spread the TRX love! 1 – Stand upright with one foot looped in the handle and your arms by your sides. 2 – Drop your body down toward the floor, bending at your hips and knees and leaning your torso slightly forward. 3 – Push off your front foot to return to the start position. Complete all reps on one side before switching to the other side. 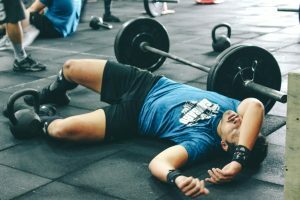 1 – Place your hands on floor in front of you and your feet in the handles behind you, with your elbows bent and your chest nearly touching the floor. 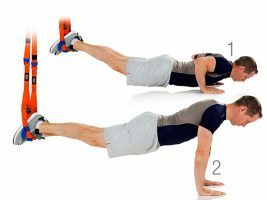 2 – Push up until your arms are straight, keeping your hips in line with your shoulders. 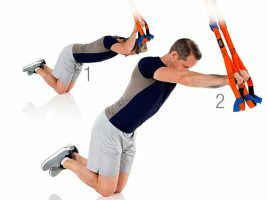 • Lower back to where your chest nearly touches the floor and repeat. 1 – Lean back holding the handles with your arms fully extended, your feet flat, and your palms facing down. 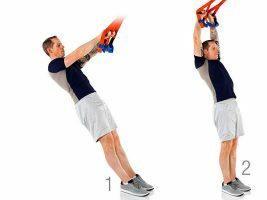 2 – Pull the handles overhead with your arms straight and hands close together. 1 – Stand on one leg and lean back, holding the handles with your arms fully extended, your foot flat, and your palms facing down. 2 – Pull your chest up to the handles, bending your elbows. 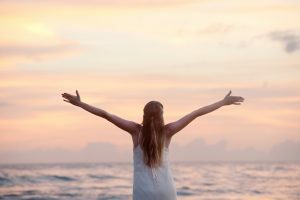 1 – Lean your body forward with your hands in the handles, arms straight out to the sides at shoulder height, and your legs straight out on your toes. 2 – Pull the handles together in front until they meet over your chest. • Keep your arms straight throughout. 1 – Lean back holding the handles with your arms fully extended, your feet flat, and your palms facing up. 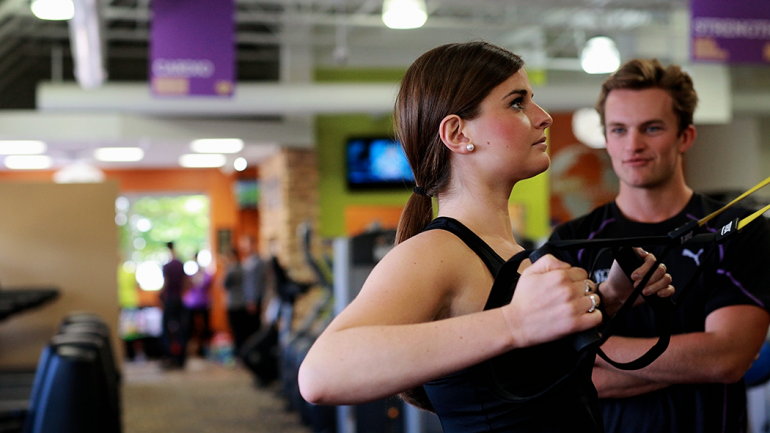 2 – Pull your body up to the handles, bending your elbows and curling your hands toward your shoulders. 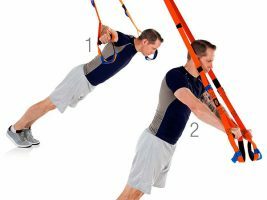 1 – Lean to one side holding the handles overhead with your arms straight. 2 – Arch your torso over to one side and reach your arms to this side. 3 – Pull your body back up to the start position. 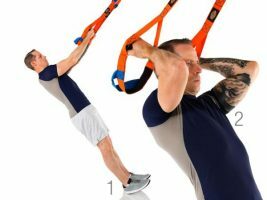 1 – Lean to one side holding the handles overhead, with your arms straight. 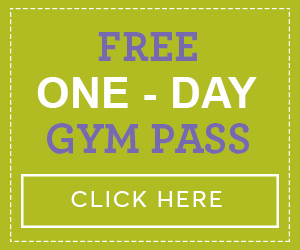 Ever Thought How Not To Lose Weight? Here’s How! 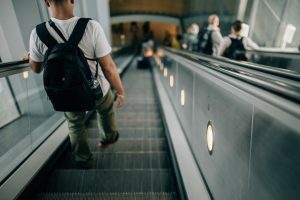 Few Simple Health Tips For The Avid Travelers!